I lived off the Caledonian Road ( Lesly Street) in the 1940s. 3 stumps were painted on either side of the street for Summer. For Winter goal-posts were painted. What luxury to have a set of stumps. We had to make do with a lamp post. Playing out was the big thing. I'm not sure how many people would use that phrase now. 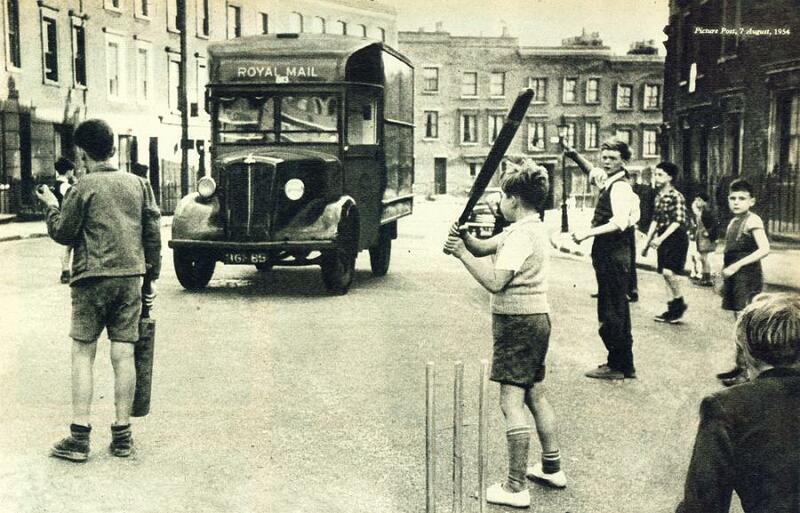 I remember playing out from lunchtime to dusk. You just turned up at home before it got dark. We went for miles. Amazing, it would not happen now.